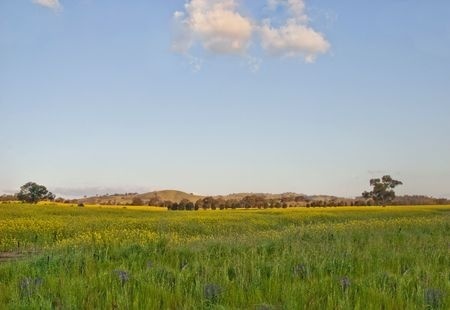 A client has asked us about a potential investment she’s found in a small rural Victorian town. On paper, the yields look great – certainly more than she would get for her $325,000 in Melbourne. The place has such beautiful views that she’s decided she wants to buy and rent it out in the medium term, then move in when she retires in about 10 years. (Previously she had been planning on retiring to a coastal town.) She wants to know what we think of her plan. We’ve established that she’s already saved a significant amount, so the smaller capital gains that she may make on the rural property compared to an urban property don’t particularly worry her. We can see she has her heart set on the property and, given it’s not a standard investment but a potential dream retirement home, we can understand that she’s emotionally tied to the place. We do think she needs to do some research, though. The views partially look out over a large commercial farm. There’s no guarantee that the views will be the same when she moves in 10 years from now. The farm may, for example, put up wind breaks, buildings, or change their farming operations considerably. There’s also the likelihood of farm-related noise – the country is not always the quiet retreat that many city-dwellers imagine. We’ve recommended she talk to the local council to see what activities are permitted on the farm across the fence. While she’s talking to the council, she should also check whether the house is affected by flood risk. If it is, there’s a likelihood of higher insurance premiums. She’ll need to consider fire control and allow for the costs involved with regularly reducing fire risk. This can be seen as extra maintenance charges. She’ll also need to factor in extra time and cost for pest management (especially rabbit and fox control) and weed control. This is a landowner’s legal responsibility, and needs to be factored in to maintenance costs. If she does her homework, it sounds like it could be a good plan for this particular client. We wish her the best of luck!